This week's feature is a bit of a purge. Say what you will about Ikea, but I think their fabric is awesome...from the design to quality. I have quite a bit of a now discontinued fabric, Gunilla; it features a variety of stylized birds in black and white, popping on a pumpkin orange background. If you missed out on this originally, get it while I still have a bit here in my Etsy shop. I've been enamored with painted furniture for some time now, specifically chalk painted furniture. I took a class over the summer to perfect my skills and it really did the trick giving me a new found confidence. First up was this darling vintage coffee table we picked up in Mississippi. It has a great small scale and would just be lovely on a screened porch. I really like the distressed look, and tho some just paint and wax, I like to add a step of grinding the paint in a little more and getting a super smooth finish with roughed-up edges. By the way, I picked this color in that dark of Lowe's and swore it was red...it is not...more like raspberry. Still precious! Next, we found this previously horrid frame in the back of the shop...neither of us knew where it originated from and it was seriously headed to the trash heap. I had a teeny sample of Fiji from Benjamin Moore. I mixed my own chalk paint from it and voila! Then we found this sweet petite quilt rack for a song. I sanded it a good bit to remove the super shiny shellac and chose a soft white. I further distressed it and then gave it a lovely paste wax finish. Its gorgeous and I think I'm half crazy to part with it...but each of these pieces are now in our retail shop awaiting new families. We did it! 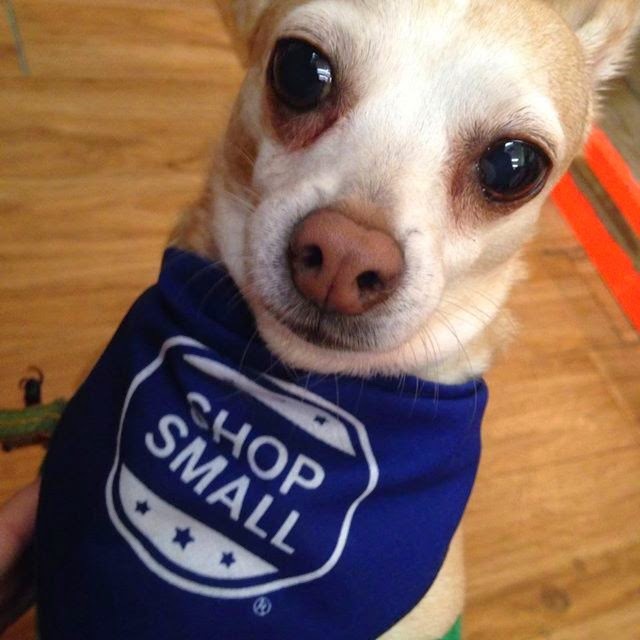 We had the biggest Small Business Saturday in our history of the event...we even broke our Grand Opening sales record of 2008...and that was quite an accomplishment! 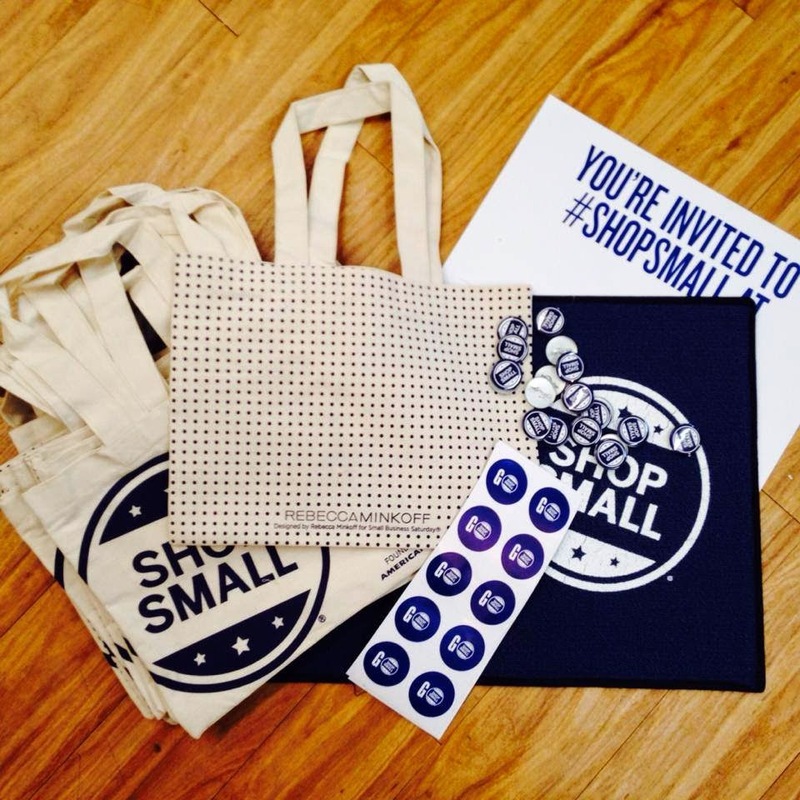 As with every year, I include a free surprise gift with every in-store purchase $25 and above. The gift is always something unique to the shop, i.e. it's never been sold in the shop previously and most importantly its handmade by me. Sometimes I fall short of the handmade options based on time and my health...but in one week's time, I squeaked out this pretty new primitive flour sack towel with one of my popular old stand-by designs. Thank you to all that supported us today, we really felt the local love! Online, you can join in through Cyber Monday in my Etsy shop and save 15% -- just use CYBER15 at checkout. It's here! My new Louisiana towel! Lots and lots of people having been clamoring for a vintage style Louisiana souvenir towel in my shop. And for a few years now, I've not been able to find a suitable choice through other vendors or through my own designs. Then, stored in the attic...I find this adorable head scarf from the 1960's in my grandmother's things. It was perfect and I got to work semi-quickly on cleaning the image up and readying it for transfer through the emulsion process. I had some quality control issues that perhaps on a second run we can broaden the image back to its full glory...but the towel, a bit simplified...is too stinkin' cute! Currently these are available in my brick and mortar and online on Etsy. This is a small run currently and I hope, if received well, I will stock it year round in the coming months...but why not just grab it it while the grabbins' good! 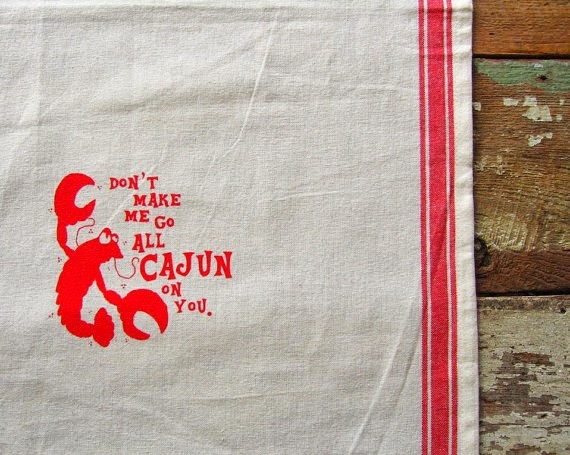 Also, My Don't Make Me Go All Cajun on You towel has been restocked too and makes a nice companion towel to the new Louisiana design. Today's offering are two new Robert Kaufman prints...two that seem to be a perfect fit for my hometown of Ponchatoula, LA. First up is this fun strawberry print, Metro Market, designed by Margaret Berg. 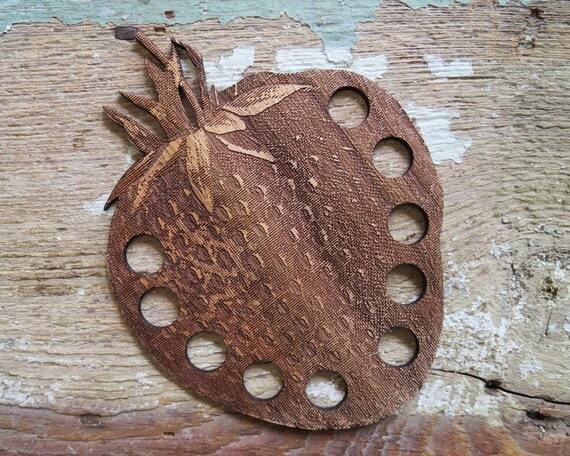 It's the state fruit of Louisiana and we celebrate it in town in a big way with a Strawberry Festival. It sells by the yard and is available for purchase here. And in honor of our town mascot (why yes, we do have an alligator as our mascot and he lives right in the center of town), is this adorable print from Ann Kelle, Urban Zoologie. Snap it up here. Oh, by the way, I've joined the Goody Goody Giftswap this year...a fun Secret Santa type gift swap for creatives and other independent shops. Check it out and maybe you'll get moi! Today is my do-over day from yesterday; which from the start was one fiasco to another. I've never done this before but I actually just turned off the lights at the shop and locked the door around 2pm and didn't look back. Call it a mental health day...a hot bath, lavender chamomile tea and lots and lots of rest has put me back in fighting form! Re: Garlicky Vinaigrette is quickly becoming one my fast favorites. 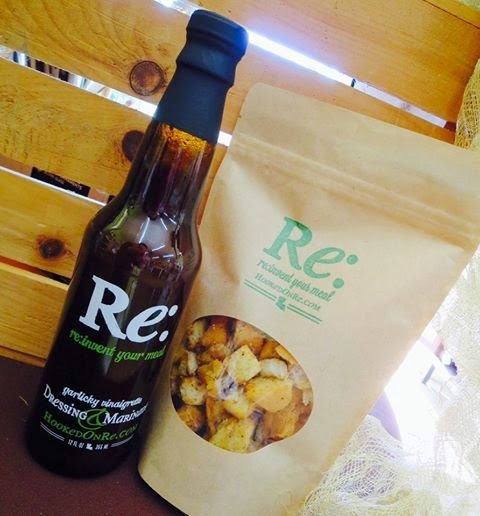 It's a dressing, It's a marinade...it's good! (also gluten free, if that's an issue for you) Seriously, we brought a bottle to Houston for our friends to try and we nearly went through the whole bottle in two days! It was conceived by two BFFs and produced in small batches in the kitchens at LSU in Baton Rouge. They also make a New Orleans style crouton that I can't even put on the website because we sell out too fast (ok we eat a good share of them too). 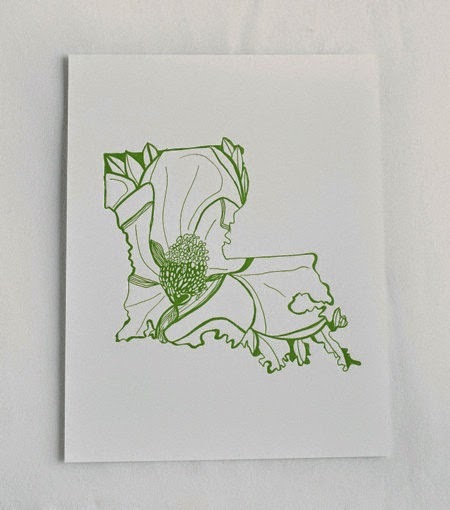 Made in Jackson, MS (just a short 2-1/2 drive from the shop) is the exquisite letterpress prints from Thimblepress featuring the state flower within the shape of the state. Each print measures 11" x 14", signed by the artist, and includes a package of wildflower seeds. I'm hoping this will be a real keepsake gift at the shop for 2014. Found in my attic, dating to the the 1960's if I could guess, is this adorable silk-screened head scarf. I've already cleaned up the image and edited it...next step is to burn it on the screen and print. I plan to produce a new towel but I may do a few tank tops and totes. Fingers crossed that this happens this weekend! As promised, I received a nice little shipment of Cavallini papers and stamps last week and I think most items are listed by now. My favorite, though...out of everything is this brand new vintage decorative paper wrap featuring all sorts of good and great sewing ephemera! Perfect to hang in a craft nook, line a sewing box, or wrap a gift for a sewing sista! Anyway, as you can tell...I am pretty biased about this one. more to come next post! With less than 60 days until Christmas...is that even right? I've been pulling out stashes of holiday goods I've squirreled away all year long. I know there are lots of people that complain when stores put Christmas out before Thanksgiving - sorry (but not sorry!). It may still be 75 degrees here in Louisiana, but people still want first pick of our Christmas stock. Give the people what they want! Already, I have almost sold completely out of my silk-screened Merry Christmas Y'all holiday towel. You could of knocked me over with a feather when I checked inventory after the weekend; more blanks are being expedited as I write! Another new product, German Glitter Glass...in silver; no other color available yet. I think this is new for my vendor as well as my shop. It's lovely and I just can't wait to have a minute to play with it! And though I never seem to find the time to cross stitch anymore, for those of you with better time management skills than moi...let me remind you about my Holly Fleur de Lis Cross Stitch Pattern. It stitches quick but if you are making multiple gifts...better get started. It's still $3.95 and an instant download on either Etsy or Craftsy. Next week I should have an update on our stock of Cavallini paper posters (some brand new ones just arrived! ), paper tape, and stamps...harroo! It's still a bit warm in Southern Louisiana, but mornings are becoming cooler and cooler. I made a scarf. Mom found 3 mohair skeins of a discontinued Lang Yarns colorway for next to nothing. This pattern made use of all three with a slight modification to the pattern...I can't wait to wear it! The sparrows started arriving this weekend...a sure sign cooler weather is on the way. Here are my feathered friends, the white-throated sparrow and slightly smaller chipping sparrow...a tad dull coloring but each has lovely song just in time for gray days. Our biggest concern this winter is Pepe, we have no idea how old he is but is showing signs of arthritis when the mornings are chill. So far, he lets me pamper him and has agreed to no jumping off or on the bed. His sister pups tend to cuddle near him so someone is always with him day and night...but it is hard to think about letting go. And a little work work happened this weekend. I changed up the colors of my Pump Up the Jam Canning towel in a hand-mixed green. I had some request for this color to match the reintroduction of Ball's green jars...just a small run of 6 to see how they do. It seems like it's taken me months (make that years) to reinvent this particular design! It's back with a new look -- my "Call Me Butter 'Cause I'm on A Roll" kitchen towel. And just in time for the holidays when all the dinner rolls are out on good behavior! I think its just the thing to have hanging around when nosy in-laws are poking around your kitchen, checking out your spread. Or even for that stuffy hostess (possibly your in-law...yes, I have issues!) Wouldn't you love to see that face when she opens this? She might even smile? Probably not. Right now these are in store and listed on Etsy. I plan to list them on the main website and a few other accessible places, including Unique Boutique in Tullahoma, TN (if you are on the way to Nashville). 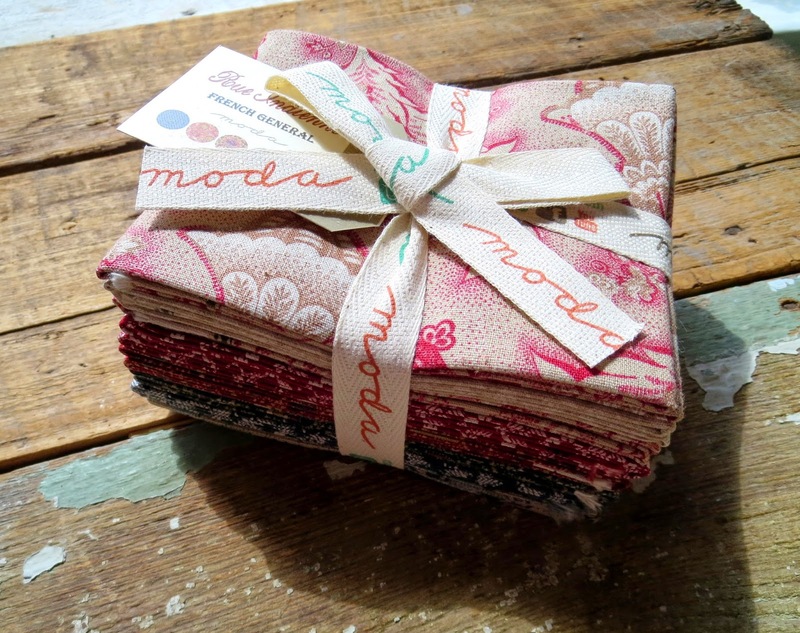 This week's featured fabric is a pretty new collection from Moda, Rue Indienne, designed by one of my all time favorites, French General. The line is inspired by botanical prints coming out of 18th century India. I'm offering a fat pack of 8 fat quarters including some really gorgeous paisleys, botanical and small prints. These are a 30% linen/ 70% cotton blend - making them luxurious to work with, be it home goods or perhaps even a hand bag?! Squee! I have a limited quantity, get them here. Yesterday at the shop, I cleaned up globs of lotion of the floor and found 2 broken items, including one of our delicate wooden thread organizers (I literally wanted to cry when I left for the day). It sounds like a mad drove of children ran through the shop; unfortunately, they are better behaved than the adults that passed through. One even announced over the weekend she had the flu as she was checking out. Sigh. I caught up with the latest Flavia de Luce book (such a good series!). Next up is Gone Girl, but probably not until I stop binging on Gilmore Girls. I've never watched it; to which C tells me everyone did. I guess I had a lot going on during the late 90's...but it is so 90's fabulous with its flip phones, dial-up internet and no mention of gluten free...ahh, those were the days. 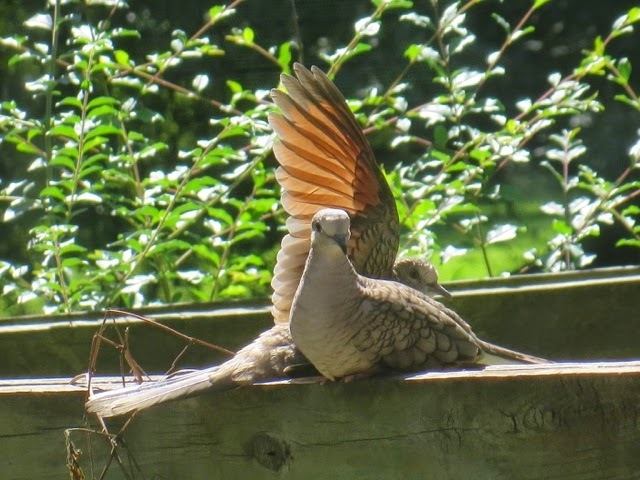 And I'm happy to report with Fall on the way some of my adorable feathered guests have returned. 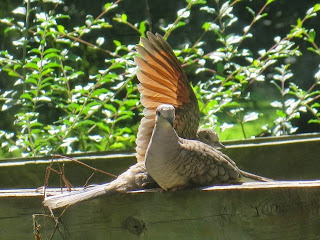 These are Inca Doves, a little further East of their habitat (thank Global Warming). So far 4 are already milling about the feeders. Also, we have some fellas about to take off for the season. 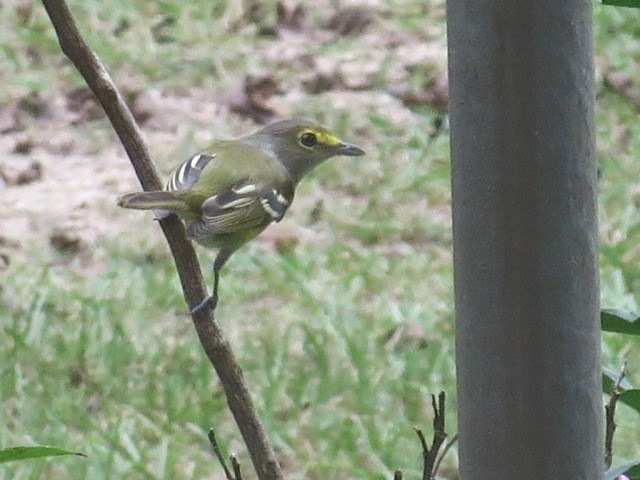 This is a Yellow Breasted Vireo. 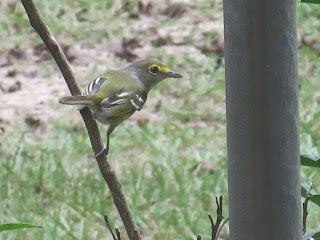 This being my first year bird watching, I never noticed Vireos before...this is one of the two I've seen this season. One of the uber-adorable ways to identify a vireo is the band between the eyes...in birding terms it's called "spectacles." So consider Vireos the librarians of birds! 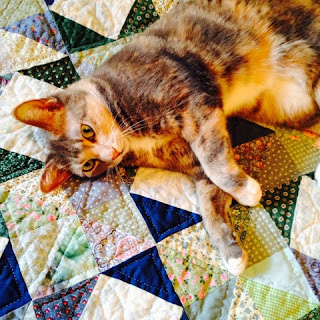 I am getting back into the swing of things with a revisit of one of my favorite Blog features! Today I'm excited to share this fun retro beauty mainly because my mother found this one on a treasure hunt! I suppose this business is becoming a family affair. 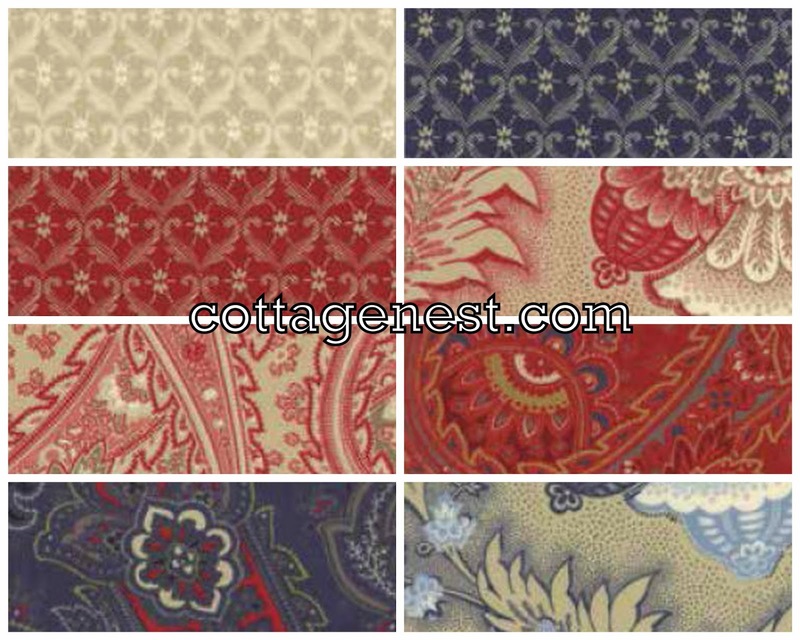 This is a very large scale novelty cotton print made to look like a richly colored and intricate tapestry. It had me fooled until I picked it up! Definitely high quality cotton as you would expect for dressmaking or quilting and I suppose it would even be suitable for some light upholstery projects. It's not immediately what I would of grabbed; I gravitate towards pale calicos, but the longer I handle this one the more I appreciate this big scale, brightly colored design. Sort of just the thing we need at the tale end of Summer and beginning of Fall. If you'd like a cut, I am selling it by the yard and two are available at this time. Click here for the Etsy Listing. It's been a really hard 2 weeks as I've been pretty ill. Yesterday, I think, was the first day in quite a while that I felt like I still belong in the human race. So, as you can imagine, the store and online shops have just come to a resounding thud of inactivity. Also, yesterday I finally made something! This adorable crochet hat, pattern available on Ravelry as the Delaney Hat. Isn't it adorable?! Plus it felt sooooo good to accomplish anything. The pattern, I found is a little skimpy on yardage required. This was suppose to be the 3 to 6 month size and as I got a a bit too far, I realized I had to make a hybrid of sorts that should fit a newborn fine. 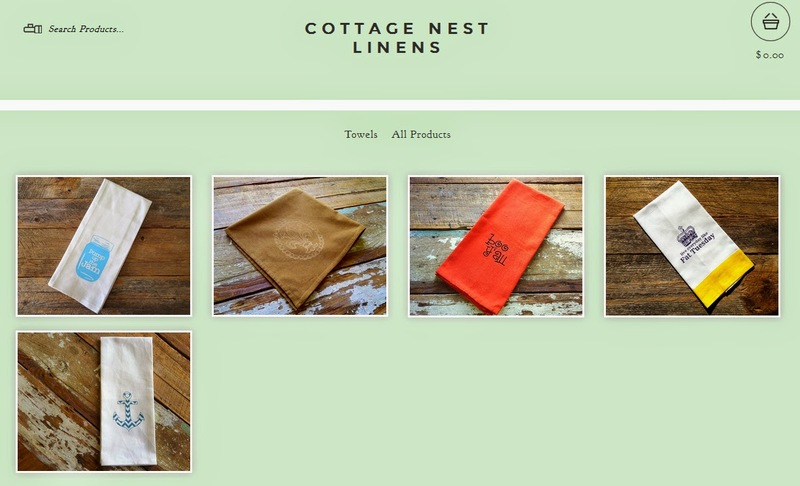 Also, a little before my brief demise, I opened up a teeny shop with big cartel -- strictly my silk-screened towels with a rotation of my most popular styles and seasonal limited editions. I plan to market my businesses a little different in the coming year. We'll be experimenting more with online (including blogging a lot more - YAY). This also means we will be pulling away from our brick and mortar, Nest Interiors in Ponchatoula, LA. We have no intentions of closing but are looking at a much reduced schedule so I can go where the customers are -- online. It may not be forever, but it will be squarely set in the hands of the people of our small town...if they want this business locally its up to them. Here's a fun new project that's been a long time coming...my new Pump up the Jam Blue Mason Jar towels. Just listed this week, they are garnering a lot of attention, including requests for different colors...which may all be possible. But its been a small feat to get this far. First, I ran out of ink for the transparencies (I had one left of those -- so it was fingers crossed when I was all set to print). Further drama ensued when it was time to set up the screen -- despite several years doing this, it took three tries to get a nice clean image that you see today. Handmade can also mean Headache-made. So, voila...they are here and I'm pairing a couple as a gift sets with my friend, Sherri's slumped mason jars. They are great little dishes to be used as spoon rests or soap dishes...all re-purposed from actual mason jars! The mason jar spoon rest are also available individually on my main website; quantities are limited. And keep watch for next week when I launch a sister style to this towel!